Avenged Sevenfold became one of the world’s biggest rock bands by creating a sound that broke through obstacles of language, distance and culture. 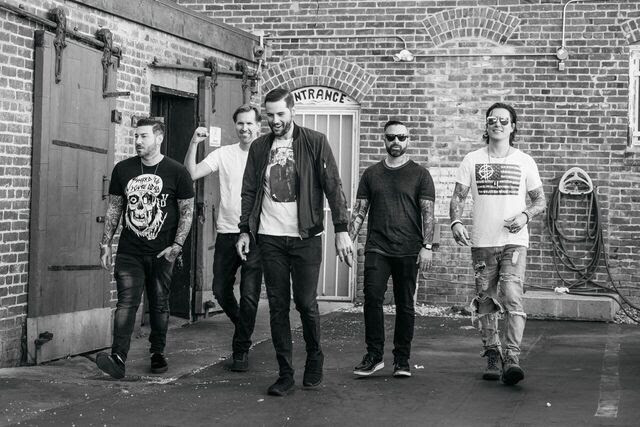 They raised the stakes and standards for the genre with a string of blockbuster albums, including their 2005 platinum-selling breakthrough, City Of Evil, 2007’s platinum-selling Avenged Sevenfold and two consecutive No. 1’s on Billboard’s Top 200 Albums chart: 2010’s Nightmare and 2013’s Hail To The King. They’ve achieved Diamond, Platinum and Gold awards for album sales in nearly a dozen countries, racked up over a billion video views and a billion-plus Spotify streams, have consistently been one of the most-played bands on rock radio for over a decade with multiple No. 1 singles, and have headlined arenas and the biggest rock festivals around the globe, amassing a diehard international fan base whose members number in the millions.